Are you a Business Coach or Life Coach with an ever-growing daily task list, struggling to fit everything in? If so, let me ask you this – what time does your typical day start and end? My guess … too bloomin’ early and too darn late, and even then not everything gets done! Having worked with Business and Life Coaches over the years, I understand how ridiculously busy your day can be. Not only do you have your regular clients to prepare for and work with, you have a ton of other stuff on your to-do list too. Leaving little time for anything else, but grabbing a bite to eat and getting a few hours sleep. Well let me tell you, it doesn’t have to be this way. 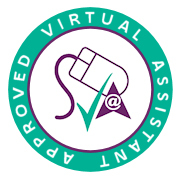 Hire a Virtual Assistant to support you with the day-to-day stuff so you can accomplish more, which in turn will bring more clients and ultimately increase your income. Hire me, and you’ll have a VA who understands the pressures of your job and the last minute requirements that can often arise when least expected. I can take care of those tasks you don’t have the time to do, or simply don’t want to do. Online research – events, venues, article preparation, etc. Need help with something else? I can probably do that too. If not, I’m part of a large network of professional VA’s, one of which will be able to. My hourly rate is just £28. Ready to have enough hours in the day to focus on your clients and your business needs? Contact me today to arrange a free 30 minute chat to see if I’m a good fit for your business. It's a great feeling when you have someone as competent, creative and clever as Sarah working on online marketing projects for your business. Exceptional output and results, fantastic.